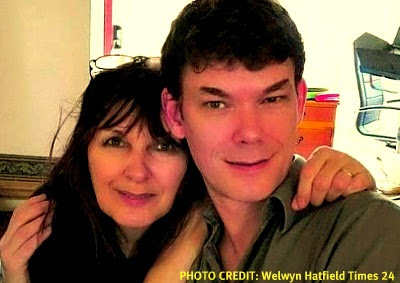 UFO hacker Gary McKinnon has been given two weeks by the High Court to decide if he will take a medical test to determine if he is fit to be extradited. Experts have said there is a high risk Mr McKinnon, who has Asperger’s syndrome, could kill himself if sent to face trial in the USA, but ministers, including Home Secretary Theresa May, want a new report. The endgame appeared to be looming in the wrangle, which has been rumbling on for more than a decade, as Mrs May was said to be “very near” a decision. Mr McKinnon’s mum Janis Sharp, who lives in Brookmans Park, is not keen on her son undergoing further tests as she said his mental state was already beyond doubt. If governments were more up front with their info people like Gary wouldn't become so overly curious about might be going on in there. For any government to want to extradite someone with Asperge's Syndrome over a matter that in the end harmed no one, plainly shows that they do not understand Asperger's at all. Numerous cases of terrorists are dismissed for the flimsiest of reasons then they dig in their heels with the easiet ones. Perhaps Gary should have got a kitten - apparently that cuts great sway with the judges in this country according to a recent extradition case of a person who shouldn't have been in this country.